With a population of more than 18 million (and over 5.8 million migrants), is one of the most populous and most developed cities in the People’s Republic of China. Shanghai was the largest and most prosperous city in the Far East during the 1930s, and remained the most developed city in Communist China. In the 1990s Shanghai again became an attractive spot for tourists worldwide. For a feel of the China of yesteryear, check out Yuyuan Gardens, which is loaded with classical Chinese architecture. A lot of history resides in this little garden and temple. They were commissioned in 1559, built over the course of 19 years, destroyed in 1842 during the first Opium War, and later rebuilt and reopened to the public in their current incarnation in 1961. Pathways wind through rock gardens and bamboo stands, and stone bridges cross pools filled with bright carp. The word “yu” translates to “peace and health”—and the park was certainly designed with tranquility in mind. The Bund, lining the Huangpu River at Lujiazui, is the most popular tourist destination in Shanghai. On the east bank of the Huangpu River, a growing number of luxury bars, restaurants and clubs have occupied the upper floors of classic Bund buildings. At the north end of the Bund, Nanjing Dong Lu cuts west, a neon-lit paradise for shoppers and gawkers, flanked by a mix of colonial-era edifices and contemporary high rises. The south end of the Bund terminates near Shanghai’s low-rise Old City, encircled by growing ranks of luxury residential towers. In between is rich evidence of Shanghai’s role as China’s key financial and business link to the West in the early 20th century with a collection of European-style buildings: stately bank and embassy buildings, proud international hotels and business headquarters. 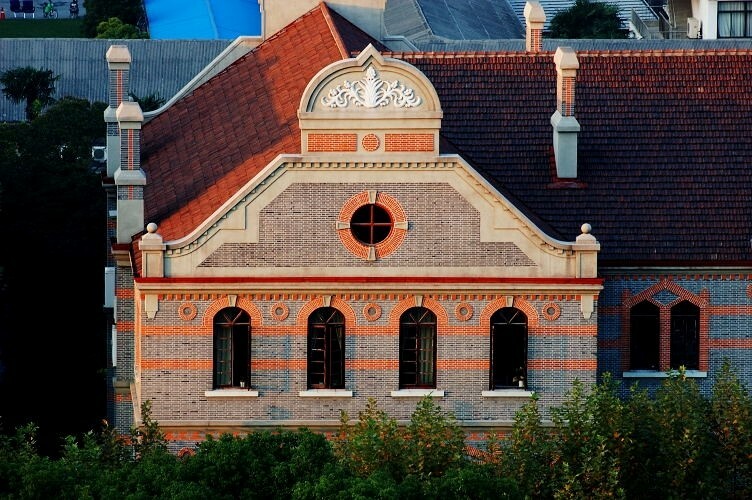 Among so much unique buildings, twenty-five have been granted the protection of “heritage building” status by the Shanghai Municipal Government. Enter Shanghai Xintiandi (新天地), Lane 181, Taicang Road. A small pedestrianized area of the city featuring rebuilt traditional shikumen [stone gate] houses. It is an affluent car-free shopping, eating and entertainment district of Shanghai. 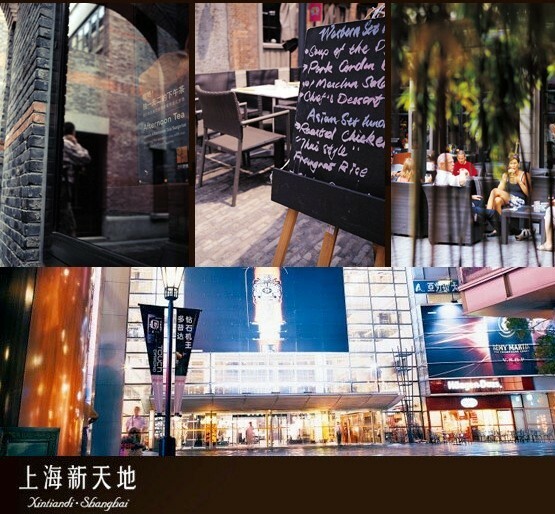 Xintiandi has an active nightlife on weekdays as well as weekends considered one of the first lifestyle centers in China. It is composed of an area of reconstituted traditional shikumen (“stone gate”) houses on narrow alleys, some adjoining houses which now serve as book stores, cafes and restaurants, and shopping malls. Most of the cafes and restaurants feature both indoor and outdoor seating. Nanjing Road is located in the city center, running in a west-east direction. Its eastern section East Nanjing Road is in Huangpu District and extends from The Bund west to People’s Square. 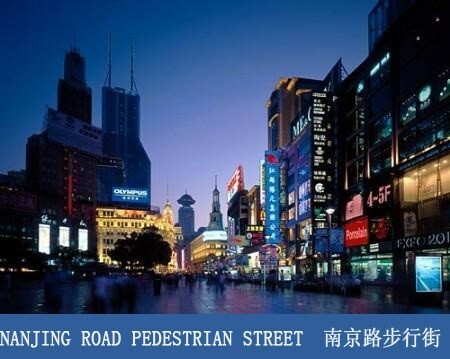 In 2000, as a part of the development plan held by the local government, East Nanjing Road was renovated to be a characteristic pedestrian street. East Nanjing Road is a dedicated commercial zone. At its eastern end is the central section of the Bund, featuring the Peace Hotel. Immediately west of the Bund precinct was traditionally the hub of European-style restaurants and café. 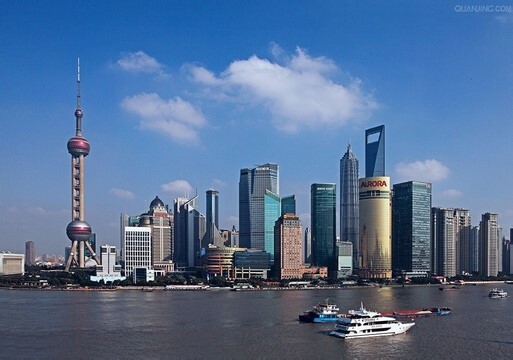 Located here are most of Shanghai’s oldest and largest department stores, as well as a variety of domestic retail outlets, and some traditional eateries with a long history. Shanghai Oriental Pearl TV Tower is a very popular tourist attraction of the city that located in the Pudong District, adjacent Shanghai World Financial Center. Completed in 1995 to a highly innovative design, Shanghai Oriental Pearl TV Tower has become a symbol of excellence in architecture and is a favorite sight for tourists in Shanghai. With a total height of 467.9 meters, facing the European-style architectures on the Bund, the other side of the Huangpu River, the tower is with multi-functions for sightseeing, catering, shopping and amusement. The sightseeing floor is located at 263 m (Sightseeing Floor). Xiao long baozi (小龙包子, lit. 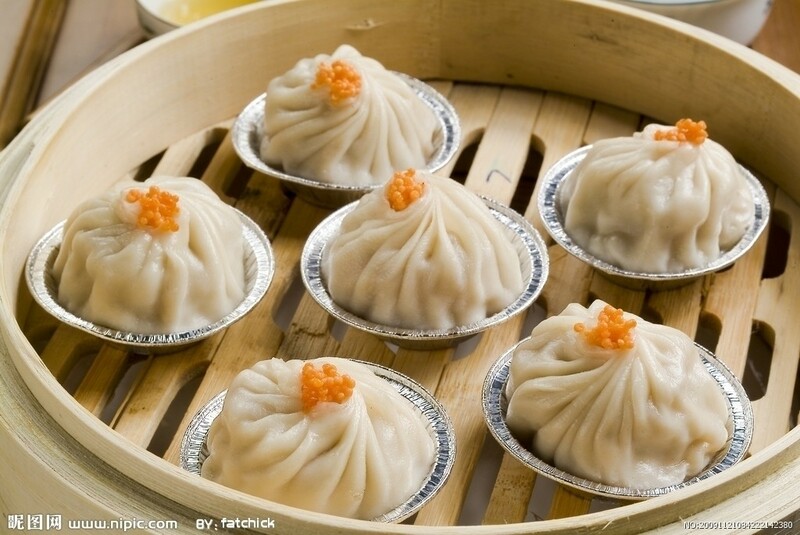 buns from the little steaming cage, or little dragon buns), probably the most famous Shanghai dish: small steamed dumplings full of tasty (and boiling hot!) broth and a dab of meat. The connoisseur bites a little hole into them first, sips the broth, then dips them in rice vinegar (醋 cu) to season the meat inside. Dazha xie (hairy crabs), best eaten in the winter months (Oct-Dec) and paired with Shaoxing wine to balance out your yin and yang xiefen shizitou (蟹粉狮子头,lit. 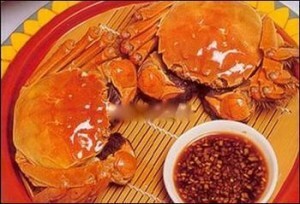 crab powder lion heads), actually pork meatballs containing crab meat. Zui ji (醉鸡, lit. 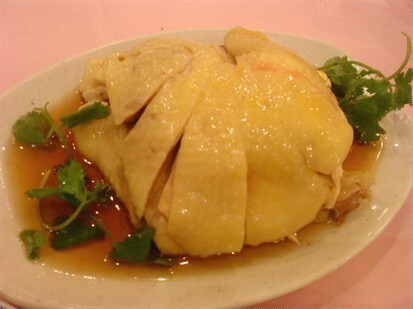 drunken chicken), chicken steamed then marinated in rice wine, usually served cold. “You Tiao” (油条, lit. 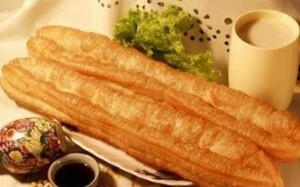 oil stick) , are a long, deep-fried donut one kind of breakfast that is very popular in Shanghai. 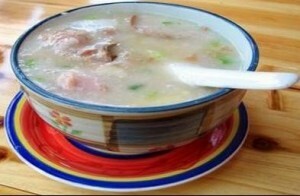 typically consumed in the morning with soy milk (dou jiang 豆浆). Vegetarians should not miss Vegetarian Life Style (258, Fengxian Road and 77, Songshan Road) where you can experience nice, affordable and organic vegetarian food resembling real meat or fish dishes in a fancy atmosphere. Shanghai Jiao Tong University (SJTU), as one of the higher education institutions which enjoy a long history and a world-renowned reputation in China, is a key university directly under the administration of the Ministry of Education (MOE) of the People’s Republic of China and co-constructed by MOE and Shanghai Municipal Government. Through 117 years’ unremitting efforts, SJTU has become a comprehensive, research-oriented, and internationalized top university in China. Today SJTU has 28 schools/departments, 26 directly-affiliated institutions, 12 affiliated hospitals, with 16,099 undergraduates and 27,921 postgraduates. It has 9 national first-level key disciplines, 11 national second-level key disciplines, 7 nationally-supported key disciplines, 64 undergraduate programs covering 9 major disciplines: economics, law, literature, science, engineering, agriculture, medicine, management and arts;57 first-level disciplines authorized to offer master degree; 36 first-level disciplines authorized to offer doctorate degree covering 8 fields; 28 mobile post-doctoral stations; 1 state laboratory (under preparation), 8 state key laboratories, 5 national engineering research centers, 3 national engineering laboratories, 2 national R&D centers, 1 national-defense key discipline laboratory, 1 National Technology Transfer Center, and 1 National University Science Park. 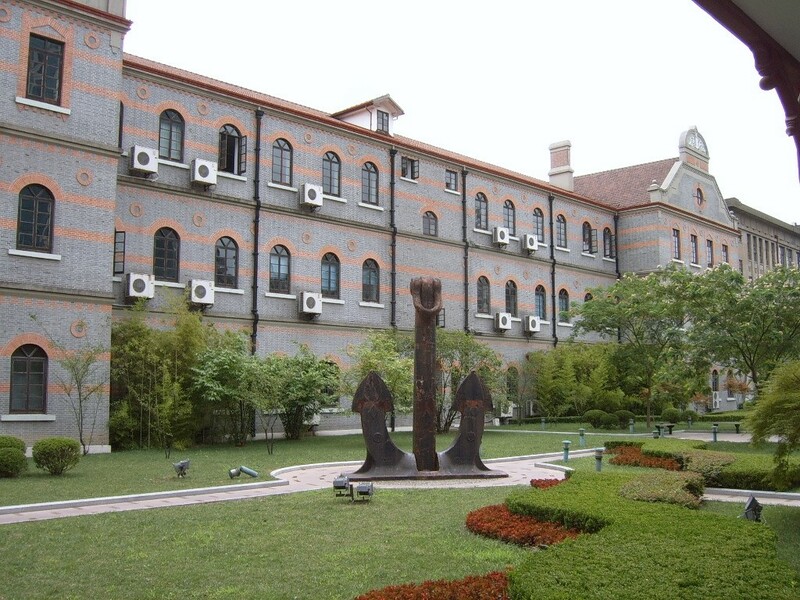 In addition, SJTU boasts a large number of famous scientists and professors, including 18 members of Chinese Academy of Sciences, 22 members of Chinese Academy of Engineering, 71 in “Thousand Talents Long-term Program”, 117 Distinguished Professors and Chair Professors of “Cheung Kong Scholar Program”. The university has 2,851 full-time teachers (among which 872 are professors). Its total enrollment of students amounts to 37452, of which 1721 are international students. 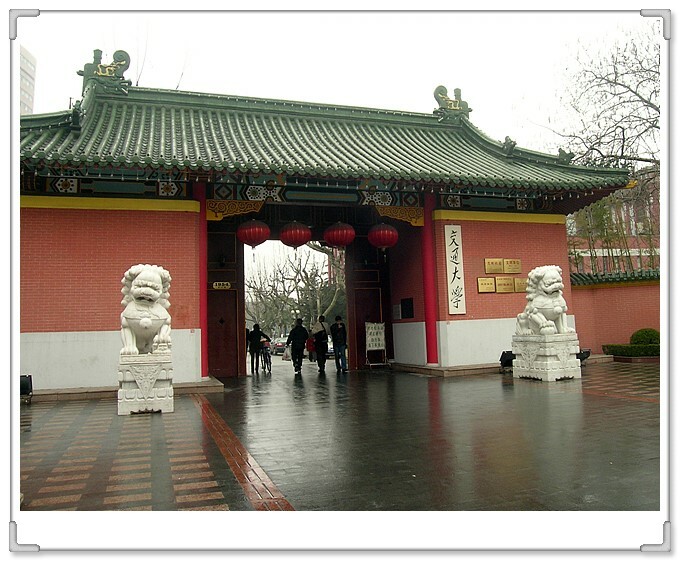 Famous alumni include Jiang Zemin, Lu Dingyi, Ding Guangen, Wang Daohan, Qian Xuesen, Wu Wenjun, Zou Taofen, Mao Yisheng, Cai Er, Huang Yanpei, Shao Lizi, Li Shutong and many more. More than 200 of the academics of the Chinese Academy of Sciences and Chinese Academy of Engineering are alumni of Jiao Tong University. SJTU has six beautiful campuses in Xuhui, Minhang, Huangpu, Changning, Qibao and Pudong, covering an area of about 3.33 square kms. 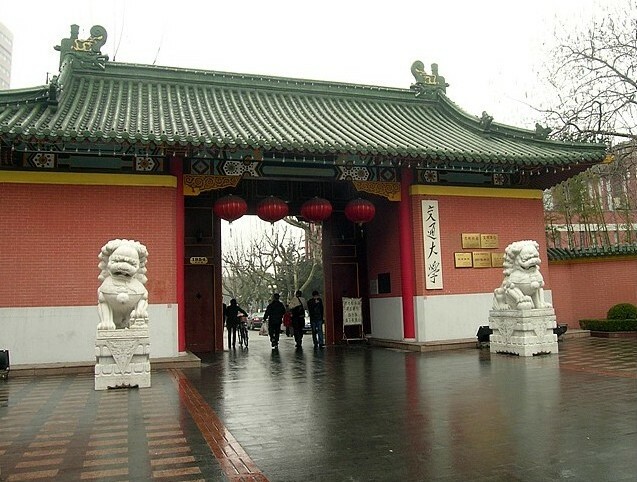 Xuhui Campus is the birthplace of the university, which spans a time frame of three centuries. Minghang campus is the largest one in terms of students and staffs. It enjoys a beautiful green environment, ideal for education and research.